The measure module provides hardware level measurement. Some electrical parts or circuits accept "pulse" and echo the "pulse" after delay. This module is best suited for measuring that delay. 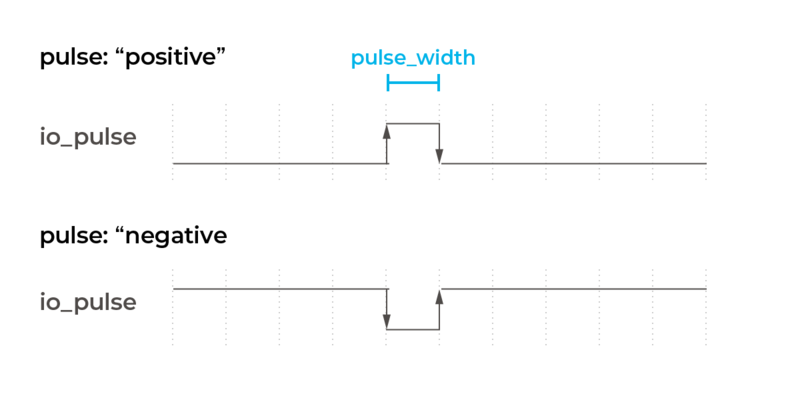 This module generates one pulse shot on an io, then measures the response time. pulse_width: pulse duration in values between ms. 0.001 to 1000.
measure_edges: maximum number of edges to detect. 1 to 4.
timeout: timeout in ms, and default is 1000. 0.001 to 1000. A callback function will be called when the edge count = measure_edges or timeout. The full example is as follows.